Adopting non-profit publication policy, Education Reform Journal, established in 2015, is an international peer-reviewed journal, and aims debate and discussion on any planned changes in the education system, from learning-teaching process to administrative processes. Within the need for improvement in the current education paradigm, it is aimed also to help education policy makers with reform choices. 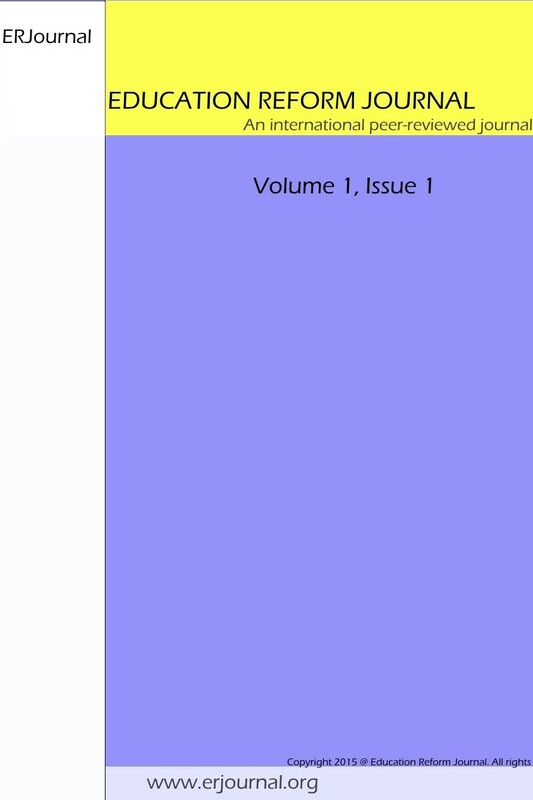 The journal therefore welcomes a range of manuscripts including children and families, academic achievement, curriculum development, education technology, creativity and innovation, comparative education, life-long learning, educational administration, education and development, international education, leadership, teacher quality, equity, policies and practices, economics, accountability, autonomy and other issues related to the aims of the journal. Important Notice: Papers contributors may kindly note that they do not pay any processing fee or submission fee or any fee whatsoveer to publish his or her paper in Education Reform Journal. Also there is no fast-publication process. Because each submission is subject to double-blind peer review.